my current obliged-read is Pendomus, by Carissa Andrews. 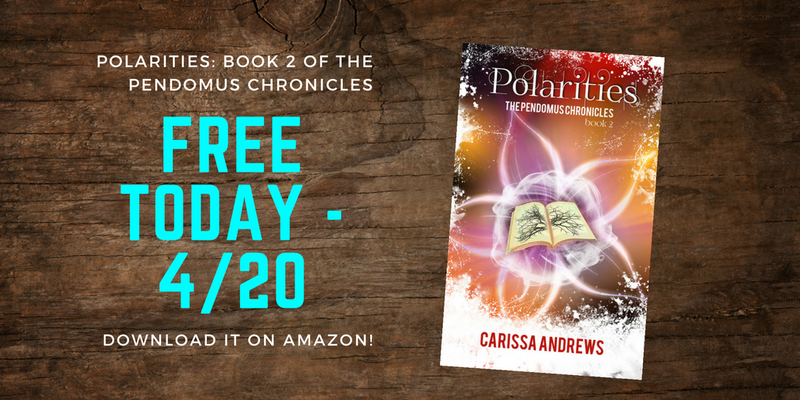 It's book 1 in The Pendomus Chronicles. It's been described as "A Dystopian Science Fiction/Fantasy Action & Adventure Series". It's an obliged-read (my term) because I agreed to post a review for the 2nd book in the series (received for free) and it made no sense to jump into the middle of the series. if anyone is interested, it's available on Amazon. If interested, the series is free for a limited time, on Amazon; any non-US readers who can't get the books, let me know in a PM. jigwashere, lelisa13p, Hook and 1 other person like this. Thank you, Rick. I just got the first book in the series. The offers is not limited to the US, then. I'll have to put a reminder for the other two books in the series. jigwashere, RickAgresta and lelisa13p like this. In between reading Jack Reacher novels. lelisa13p and RickAgresta like this. lelisa13p, jigwashere and RickAgresta like this. ...I'm on the author's newsletter list, so I am notified..
btw, I grab most of my material free via Bookbub.com -- they'll usually give 2 on-line stores where the offer is good. Thanks for the tip, Rick. I didn't know about that site, and just a few days ago I was wondering how I could find good deals on Amazon. There are some interesting offers listed there. scjjtt, lelisa13p, raspabalsa and 1 other person like this. And here's hoping that Book #3 of the series will also be available for free this week.